Mix together egg, milk, melted butter and apples. Sift together flour, salt, sugar and spices. Combine with wet mix and blend completely. Fill greased patty tins between half and three-quarters full and bake for 20 minutes until muffins are raised and he tops browned. Turn out and dredge with sugar. Allow to cool completely before storing. 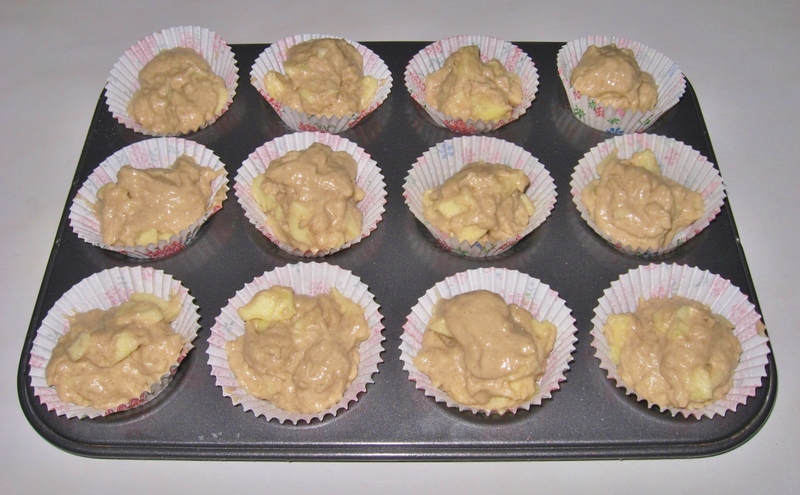 I used 50g sugar because the apples were Cox’s dessert apples, and I don’t have a sweet tooth. Sour cookers would need more. I didn’t have self-raising flour, so used plain with 2 level teaspoons baking powder. The ‘dash’ of ground cloves in my cupboard came as mixed spice. I used margarine not butter, melted in the microwave, 20 seconds at medium. I sifted the dry mix straight into the bowl of apple/egg/milk etc. I used fairy cake cases, quite small, old-fashioned, paper ones. Here, again, is a product area that has evolved in recent years. This amount of mixture actually produced 15. As well as being a slightly off-putting dull beige hue, the raw mixture seemed like a lot of apple stuck together with thick batter. However, when cooked the balance was redressed. There was a strong cinnamon-y smell. The apple had softened. The beige colour remained, but the tops browned. I dredged some with icing sugar and left some plain. There are no instructions on oven-shelf level, so I guessed middle, but the three muffins that I put in lower, on the ‘overflow’ tray, actually expanded more than those above them. Nonetheless, the muffin I tasted was both light and moist (still warm from baking) and only just sweet enough. 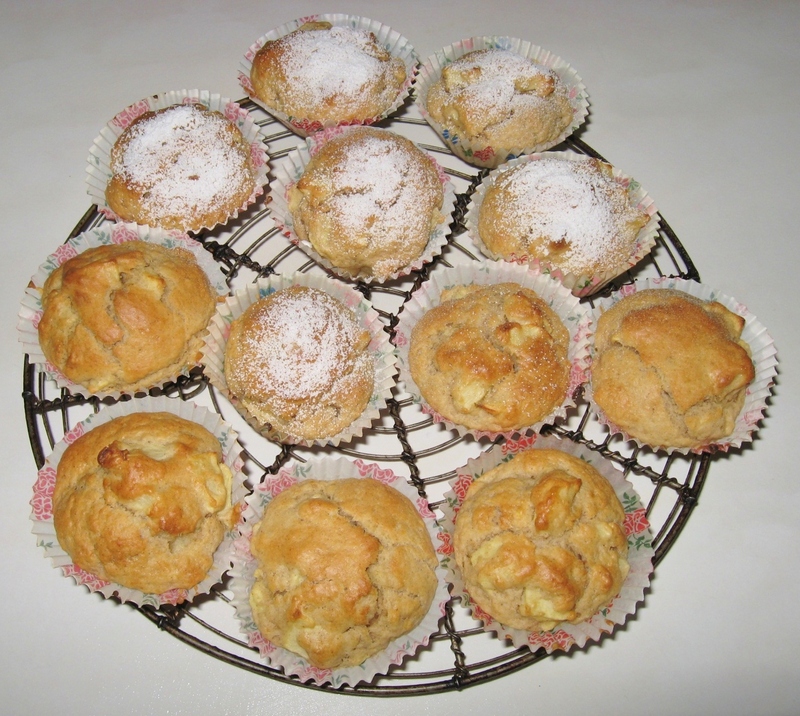 I have heard that muffin mixture must not be over-worked, and I followed this advice. Ms White also suggests they are best served warm. A quick result – hard to go wrong; could be adapted for other fruit and flavourings; if eaten hot, would work as a pudding with honey, syrup, ice-cream. 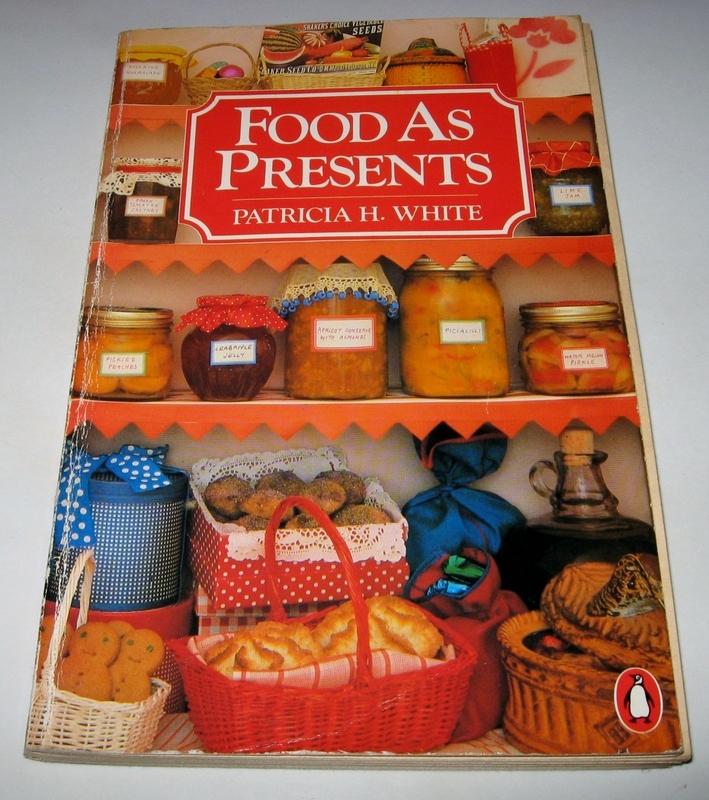 This entry was posted in 1970s, Food As Presents, Patricia White and tagged apple, butter, cinnamon, cloves, egg, milk, self-raising flour, sugar. Bookmark the permalink. 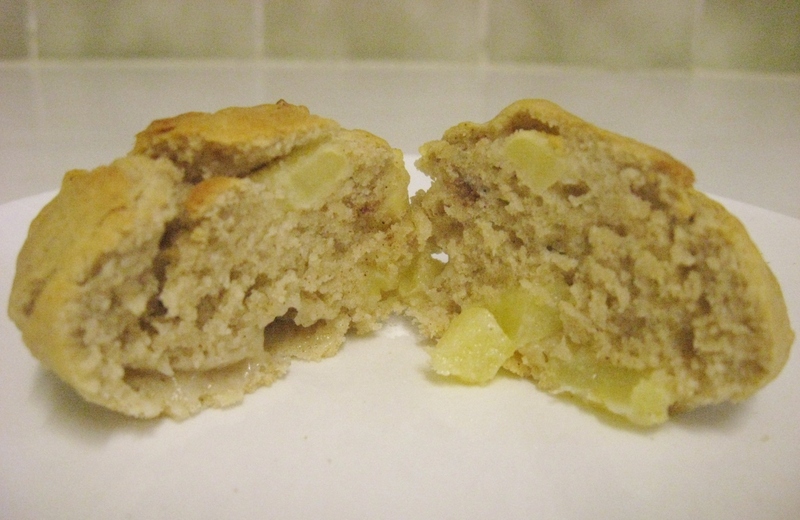 As an old-school muffin (& baked apple) fan, I heartily enjoyed this.